The beloved classic lemon meringue pie gets a low carb, grain-free makeover. 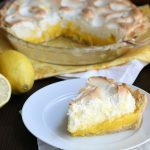 The lemon filling is both tart and sweet, and the meringue is crisp on the outside, tender in the middle. I sincerely love making over the classics to be low carb and gluten-free. The funny part is that many of these classic dishes and desserts are not things I would have bothered with back in my sugar and flour days. Some of them I simply wasn’t interested in and some of them were just a little too daunting. For others, I would have had to follow the recipe to the letter and goodness knows how I hate doing that. I can hardly make my own recipes the same way twice. But now the challenge of recreating the classics in a healthy format I can enjoy holds great appeal. Can I take an iconic dish, something that stands out in people’s minds as the food or dessert they remember from childhood, that their grandmother made every time they came over, and can I remake it without sugar or flour or grains? Can I make it more than simply palatable, more than a mere approximation of the classic they love so much? Can I not only make it, but make it really, REALLY good? Yep, I sure can. At least in this case, I believe I conquered that challenge and conquered it admirably. Now if only I could conquer crusty Italian or French bread. Then I would be the master of the low carb universe. Lemon meringue is honestly not one that was very significant in my childhood. Ever the chocoholic, I would forego the citrus-based desserts in favour of something darker, creamier and denser. I know I had lemon meringue pie on a number of occasions, and it was even pretty good a few times. Other times, it was an overly-sweet, soggy mess. But such is the way with any classic dessert, there are good ones and there are awful ones. Since I already have a low carb pastry recipe that I love, my challenge with this classic lay in both the filling and in the meringue. Lemon meringue fillings are made with plenty of cornstarch to help them set properly and we know that isn’t a gonna fly for low carb. And meringue without sugar can be tricky, as it can either be overly hard and crunchy, or it can lack structure and deflate during baking. I wanted the filling to be slightly gooey but not liquid, so I decided to tackle that in two ways. First, with xanthan gum to help thicken it a little, and secondly, with a little gelatin to help it set properly. I was more worried about the meringue, thinking it might disintegrate when I tried to spread it over the warm filling. But it held up nicely and even better, it baked to that perfect soft crispness. It was crisp on the very outside but sweet and tender on the inside, and I think it was the mix of both granulated and powdered sweetener that helped. One word to the wise: be patient. Let it chill the full 3 hours. Don’t do as I did and cut in too soon or the un-set lemon filling starts oozing out everywhere. Patience is a virtue that I don’t have enough of! Combine almond flour, coconut flour, arrowroot starch, sweetener, xanthan gum and salt in the bowl of a food processor. Pulse to combine. Place a large piece of parchment on work surface and dust liberally with additional almond flour. Turn out dough and pat into a circle. Sprinkle with more almond flour and cover with another large piece of parchment. Roll out carefully into an 11-inch circle. Remove top layer of parchment. Place a 9-inch pie pan upside down on crust and then carefully flip both over so crust is lying in the pie pan. Remove parchment. (Alternatively, you can skip rolling out the pastry and simply press the crust into the bottom and up the sides of the pan). You may get some cracking and tears. Simply use small pieces of pastry from the overhang to patch them up. Crimp the edges of the crust and prick all over with a fork. Bake crust 12 minutes, then remove and let cool. In a medium saucepan over medium heat, combine 1 cup of the water, sweetener, lemon zest and salt. Bring to just a boil, whisking frequently, until sweetener dissolves. In a medium bowl, whisk egg yolks until smooth. Slowly add about 1/2 cup of the water to the egg yolks, whisking constantly. Then gradually whisk the egg yolks back into the pan and lower the heat to low. Cook for 1 minute more, stirring continuously. Stir in lemon juice and butter and whisk until smooth. Sprinkle surface with xanthan gum and whisk vigorously to combine. In a small bowl, stir together the remaining two tablespoons of water and the gelatin. Let sit 2 minutes until gelled, then stir into hot lemon mixture, whisking until well combined. Cover and set aside while making the meringue. In a large bowl, beat egg whites with cream of tartar and salt until frothy. With beaters going, slowly add sweeteners and vanilla extract and continue to beat until stiff peaks form. Pour warm filling into crust. Dollop with meringue and spread right to the edges so that the meringue meets the crust. Swirl the top with the back of a spoon. Bake 20 minutes or until meringue topping is golden and just barely firm to the touch. Remove and let pie cool 20 minutes, then refrigerate at least 3 hours to set. Serves 10. Each serving has 7.22 g of carbs and 2.12 g of fiber. Total NET CARBS = 5.1 g.
Do you think you could do this with a whipped cream topping instead of meringue? 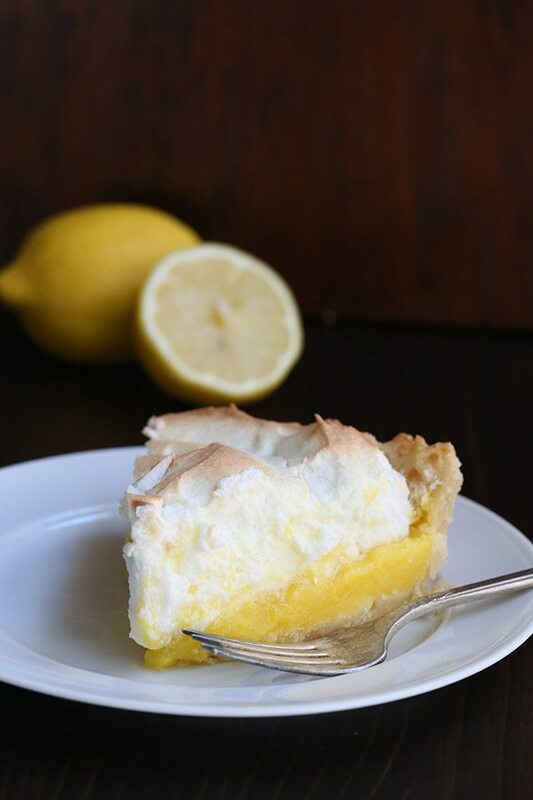 I’d love a low carb lemon ice-box pie for summer. Absolutely. In that case, I would bake the crust alone for much longer, probably for about 25 minutes. Then I would do the filling the same way and pour it in, but refrigerate right afterward for 3 hours. Then do whipped cream for the top. Sorry, looks like that got cut off. It’s 1/2 tsp and I’ve amended the recipe. As always, this looks scrumptious. Perfect for summer! I’ll be sharing a link this week. Hi, your recipes really make me so happy that I can eat desserts that are low-carb. May I know that in the absence of xanthan gum, would it possible for the filling to hold together if I add more gelatin? Should be fine but will be a little more like jello and less like custard. I wouldn’t add more than another 1/2 tbsp of grassfed gelatin. I just love you a little more today! Thank-you for this Lemon Meringue Pie recipe, esp THM style!! I, too, am a Canadian ex-pat but I live in San Jose. 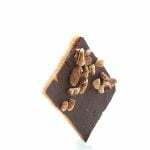 I found your Butter Tarts recipe and Nanaimo Bars recipe. I grew up on Vancouver Island… Nanaimo was close to home! Thank-you for helping me continue to share my food loves with my children- but in a healthier way! My grandmother lived to be 101 years old and she made all her recipes with the classic ingredients. It was different in the past. She never ate box, packaged food, and sugar wasn’t so readily used. THM= ‘Trim Healthy Mama’ is a balanced carb/fat/protein healthy eating lifestyle. Find us on FB! oh my god. one of my favourite desserts ever, low-carbed. i was going to make chocolate mousse today but i may have to skip it and do this instead. oh, and by the way, i made your caramel cupcakes with milk chocolate frosting and took them away with us on our romantic getaway without the kids. i didn’t even taste them before we left. omg… heavenly!!! UPDATE: I just checked the pie again and the lemon custard has set! Maybe for some reason it needed more than 3 hours… this is now about 8 hours after I made it. No idea at what point it solidified, but yay!! It should be quite liquid, so I wonder what kind of gelatin you used? It should set as it chills. PS… I can’t buy Swerve Sweetner in Holland. 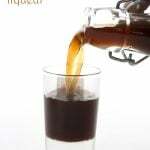 Which should I use instead, erythritol, xylitol or stevia? Or a mixture of 2 of them? I can never remember which one turns grainy. I would use erythritol wherever you can. It’s the closest to Swerve. Hi there, my all time favourite dessert, love that you have made it low carb. Do you have a particular brand of gelatin that you like or use? Here in Canada it is difficult to get some ingredients, but if I have a name many shops will try to get a product if I give them a brand name…thanks for your wonderful recipes. I use the Great Lakes grassfed gelatin in the Orange can. But you can use Knox gelatin instead, if that’s all you can get. I get ingredients in Canada online from Low Carb Canada, Amazon.ca or from vitacost.com. 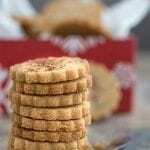 I also get the really fine almond flour in a large 25 pound box directly from jkgourmet.com. Hope that helps! The gelatin from this recipe can be found on Amazon. 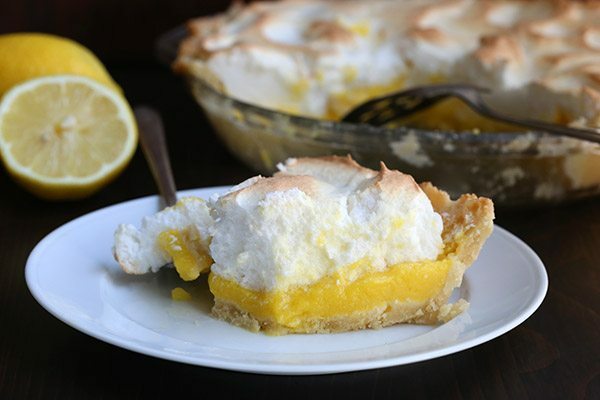 To make this Keto and nut free, I’m going to make the crust out of a meringue shell and fill with the lemon filling and top with whip cream. Can’t wait. Thanks! Is there any sub for the arrowroot or oat fiber for those diabetics who do not do starch or oats? You could try more coconut flour (1 tbsp) but I think it’s going to make your crust very tough. I added flax seed meal instead of oat fibre in the crust because I’m diabetic. Worked well! I’m always excited to get your new recipes. My wife and I try to stay low-carb for medical reasons, even tending to pure ketogenic at times. This recipe looks wonderful, but I’m concerned with the large amount (1/12 cups) of Swerve. I know all about it’s “neutrality” when it comes to carb effects in the body, but I still have my doubts about using so much in any one dish (aside from the cost, which is $12/lb on Amazon). I’ll probably try making it with 1/2 the amount. Any other ides would be appreciated. Completely yummy! Made this pie for a dinner party on Saturday night. Success with the full sugar crowd too. One piece was left over that I had for breakfast. My meringue was a bit gritty / crunchy with the sugar but yummy none the less. Thanks Carolyn for another winner. Making your double Choc zucchini bread today! Just wanted to let you know that I’ve been using the crust from this pie, minus the tbsp of swerve, as a base for quiches, and it comes out fantastic! Good idea, I will try that thanks or sharing! Would it be a problem tob7se the grassfed gelatin in the green can. I have better luck with it. I am not sure it will gel enough to solidify the lemon portion. Wonderful recipe. A big treat as my first low carb pie with a crust. Clear instructions took the guesswork out of crust-making (and the rest). Got the difficult AOK from my husband and am completely happy myself. From the flaky crust to the perfect meringue that surprisingly for the first time ever that I made a lemon meringue pie, did not slide all over the place, in taste and appearance it is a perfect pie 🙂 big thank you for making me look and feel like a good cook, thumbs up from kids and hubby too! Wow, what a lovely comment. Thanks! Hi. I tried the recipe, but it had a few problems. The filling took upwards of 6~7 hours to actually gel (@ 31F), and it made the crust soggy (as it was poured into the crust in a liquid state, then baked another 20+ minutes). That was a bummer, as it was suppose to be for my mom’s birthday :(shoulda made it the night before). I didn’t have oat fiber, and I couldn’t bring myself to use the arrowroot powder as it has more carbs than wheat flour. So I went with someone’s suggestion here, and used flax meal instead. Given, I was using a larger pie pan (an 11″ stoneware pie pan), so I had also increased the recipe by 50%. Between the stoneware pan probably staying hot longer, and the extra 50% filling, it explains the extended time it took to gel. The filling looked more like a banana cream pie filling, instead of what a lemon pie usually looks like (not very firm at all). I seen a regular sugar & starch version of one the very next day to compare it with. The meringue part tasted okay, even a bit too sugary, but it had a hard shell on the outer surface because the erythritol tends to re-crystallize when there is no fat present in the recipe (and egg whites won’t whip into a meringue if there is even a drop of oil in the bowl). I’m thinking I might try using something like liquid sucralose instead if I ever make another meringue. Or just go with a whipped cream topping instead…. I used erythritol + stevia (1C to 1/3tsp ratio) instead of swerve, but I usually don’t have a problem doing that substitution for most recipes. I used some LC corp’s confectioner sweetener in the meringue, very similar to swerve powdered sweetener in ingredients. I’m thinking that maybe one might use a combination of konjac flour and maybe a little xantham instead of gelatin for thickening the filling? I’m thinking along these lines as that is a more direct analog to how traditional lemon pie filling is made, where as gelatin is not, has a different texture, and takes longer to solidify. That would also give an immediate thickening to the filling (less soggy pie crust, faster/better gelling). Any opinions on this idea? Has anyone tried it, or something like it? Would you need to put a pinch (or more) of pickling lime in it to get the konjac flour to gel properly? Otherwise the pie tastes pretty good, so it ain’t going to waste ;-). This IS the best GF LC pie crust I have ever tasted!! Usually almond flour pie crust ends up more like a graham cracker crust you would use for cheese cake. I can’t wait to try this again with a blueberry filling. I made this for Easter dinner and it was a huge hit! No one noticed it was gluten free and sugar free! Usually my family eats my “healthy” desserts to be polite, this time they asked for seconds! Thanks! I actually have a video coming out with this crust soon! Ooooooh my!! I couldn’t wait and made this (unfortunately) on a humid day 🙁 while my egg whites never really fluffed up- the custard was AMAZING! I made mine using lime zest and key lime juice… can’t wait for a less humid day to try a lemon version!! Thank you for your brilliance!!! This was really good the first day but the next day the erythritol had crystallized and the pie was way too sweet. I have seen other recipes online that use teaspoons of sweetener as apposed to the cup and a half in this one. If I remake this I think I will a LOT less. The crust is amazing though! Interesting – I had the opposite experience. I baked it at 10 pm and had a piece for breakfast and concluded that the custard was good but the meringue was off. That night at dinner, however, the pie was delicious and my son said that this is the only low-carb desert I ever should make! The erythritol in the meringue had crystallized and was a bit gritty but the flavor was excellent! Even my wife liked it and she generally won’t eat any of my low-carb deserts except a fruit tart I make with xylitol. I didn’t have any granulated Swerve so I used only powdered Swerve at a 1:1 ratio which was probably not enough initially but great after it sweetened up like yours did. The amount of real sugar in a “normal” meringue recipe I saw is 6 TBS so next time I may try using 3 TBS of Truvia Baking Blend, which, if I did my math correctly, would add 1.5g sugar per serving (assuming 12 servings) which is acceptable for me. Once again I used this beautiful crust for a pie, (although I haven’t done the lemon meringue yet). This time I made a chayote “apple” filling, spread that in the bottom of a deep pie dish and covered with this crust. Painted with egg wash and cinnamon “sugar” and baked for 30 minutes. All my guests went back for seconds of this pie, as opposed to the real apple pie with traditional crust I also made. 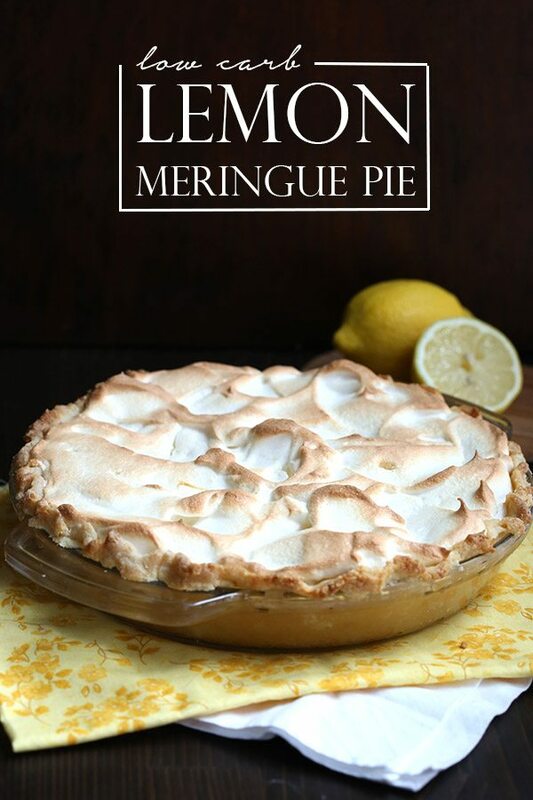 Now I’ve got to try it with your great-sounding lemon filling and meringue! Thank you for the wonderful recipes! BTW, did you ever make a video for this particular crust? It is so spectacular and easy to make, I’d love to encourage others to try it. Just wondering if i can omit the xathum gum in both the crust and curd? Its not available in my small town and i would have to wait a week to get it by post. Also is it possible to use splenda instead of swerve? Again its something I would have to mail order. Made this for the first time today and it was amazing! 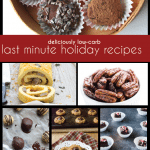 And it has to be the best low carb, gf pastry case recipe ever! Thank you. My first low carb pie! It is fabulous! Thank you! Carolyn, this recipe is fantastic, especially the crust. We made this for Easter dinner, and my whole family agreed it tasted just like the “real thing.” The only complaint was that since we have been eating a low-glycemic diet for quite a while, we have noticed our preferences have changed. We agreed that we would prefer the filling to be half as sweet. If I only add a half-cup of Swerve would I need to change anything else in order to make sure the filling sets properly? I think it should be fine! Hi! thanks so much for this recipe. When i had it the morning after i made it, it was amazing. But by the second day, it started to become very strange. It seemed like there was lumps of sugar everywhere and was not appetizing. Am I doing something wrong?! Thanks! Nothing you are doing wrong, it’s the nature of erythritol sometimes that it re-crystallizes. Sometime it doesn’t, though. The more you heat it, the more it does it, so make sure you are not over-heating the filling as you cook it. Thank you for this recipe. 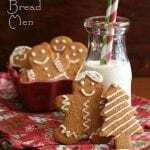 I am also grateful for the comment section, as I rely on comments from those that have tried these recipes before, to look for tips for when I make it. I thought that the filling was not too sweet, just right and perfectly lemony and the meringue came out perfectly as well. The crust was tasty, but not crisp. Even tho I kept it in the oven 5 min longer than suggested, next time I would bake it longer. It seemed “undone”, not soggy, but pretty close to soggy, or I might use another almond flour crust recipe that I have. I was so very worried when I took the completed pie out of the oven. The filling, when I poured it into the crust, before baking, was so very runny, I thought I had not cooked it enuff on the stovetop, and when it came out of the oven, it was still runny. As a matter of fact, it was so runny, I spilled some on the floor and countertop getting it from the oven to the counter. But after 4 hours in the fridge, Viola! it set up beautifully. So be careful when removing it from the oven, and do not worry, it will set up nicely. Again, thanks for the recipe, and thanks to those that share their experiences. For more unusual low carb ingredients like almond flour and coconut flour, I measured them for my cookbook so that there is more standardization. 1 cup almond flour = about 100g. 1 cup of coconut flour is 110g. I don’t know what sweetener your are planning on using but Swerve, which I use, measure like sugar. So just like sugar, 1 tablespoon is 15g. For your further information… 1 cup is equal to 16 tablespoons. 1 tablespoon is 3 teaspoons. Thank you for the reply! I found more info on internet about the measurements. We don’t have swerve here but we do have “sukrin” and thats also 1:1 so that will work. Still haven’t made the pie but I will soon. Made this yesterday, holy YUM!!! I used Meyer lemons so the lemon curd wasn’t as tart, but still super yummy! Thanks so much for this amazing recipe! In your meringue, you use both powdered & granulated sweetner. Why both? In my “old days”, I used bakers granulated sugar which is a fine granulated instead of grocery shelf sugar. Luv luv your recipes. Thanks for all your hard work. Bonny, you nailed it. That’s exactly why…a combo of the granular and powdered is more consistent with the fine granular sugar (or Caster Sugar, as they say in the UK). It seems to give it the best consistency, whipping in the air bubbles but not making it gritty. I don’t buy powdered sweetener (I use splenda). I just toss it into my food processor & buzz away to make powdered. I would be worried that standard granular sweetener wouldn’t dissolve as well as my old bakers fine sugar. But, I get your point, consistency. It just hit me, I bet I can make fine granulated/nearly powdered in my processor! Doh! Thanks for the terrific reciepes. Just made this pie! It’s seems like it’s going to be yummy! 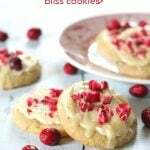 The delicious lemon filling has not thickened and it’s very cool,now! How can imthicken the filling? Did you chill it for the required amount of time? 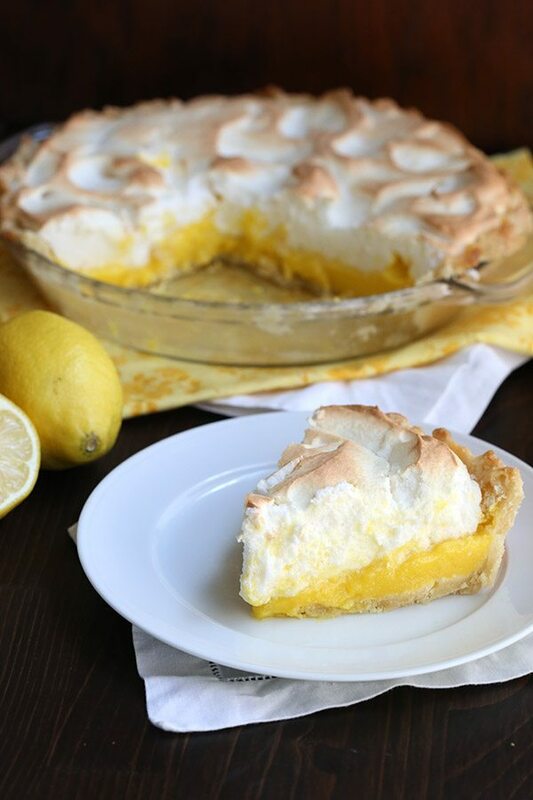 OMG, I am NOT a fan of lemon meringue in the least but needed something different for Easter that would somewhat please everyone and THIS pie was AMAZING!!! I am awful at pie crust, this was so simple and came together on it’s own (thank the heavens!). The rest of it went so smooth! I made it the night before, and I read all the comments so I was prepared for it to look scary when it was “finished” from the oven. Only ONE slice was left after dinner that consisted of people from 7-80 years old, from Keto to pretty much vegan. All LOVED it!! I seriously can’t say enough about this pie, and this was a very picky hard to please crowd. THANK YOU!! Makes a tasty lemon meringue soup! Not sure why it didn’t set— I put in TWO geletain packs as it was exceptionally liquid-y upon pouring into the crust. Gave it five hours in the fridge and it was a sad, runny mess. At least it tasted okay! If you put in regular gelatin and you didn’t let it bloom first, that might be the issue. I made this today and boy was it good. I too experienced a gritty meringue wondering if the mixing was too short. Pressing in the crust worked best as it stuck to the parchment paper and wouldn’t let go. Thank you for these gifts to the world of low carb. This pie looks delicious. 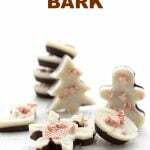 I am wanting to make one that is dairy free, do you think I could substitute the butter for coconut oil? I think so but because I haven’t tried it, I can’t say for sure. I know it will be fine in the crust. Can tapioca flour/starch be used to sub for arrowroot starch? Is there anything I can use in place of Coconut Flour? For someone allergic to coconut? Could I put this in an 8×8 cake pan instead of pie pan for bars? Or would it need to be in a 13×9 pan? Can this be made ahead and froze?? Hi Carolyn, thanks for your recipes, I have purchased 3 of your cookbooks! In your Everyday Ketogenic Kitchen, your crustless lemon meringue recipe is different from this one! When I made it, it didn’t turn out! But I see the ingredients are different now in this recipe???? Love Lemon pudding, don’t even need pie part of it!! Hope to try this soon! What didn’t turn out about it? I have been instructed by my husband that I absolutely MUST post about this recipe – he says it is possibly the best low carb he has ever tasted! Wow, that’s so lovely! Thank him for me. And thank you too.